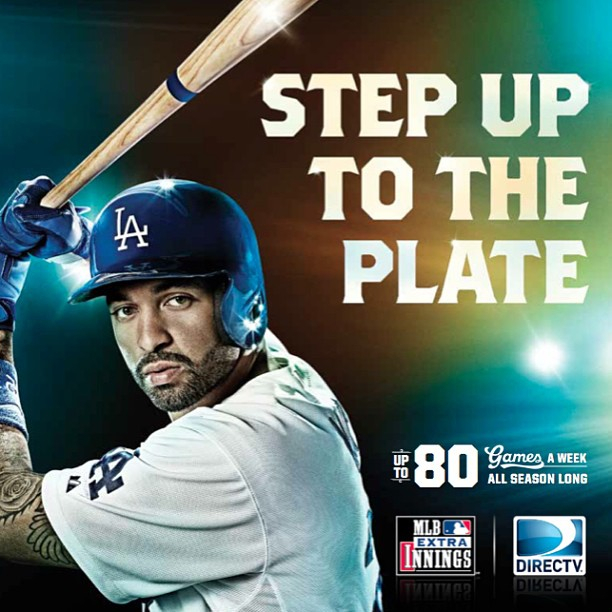 Matt Kemp wants you to “STEP UP TO THE PLATE” and order the MLB Extra Innings Package from Directv. For $200 bucks you can watch Matt (whose getting a fresh start after an injury-riddled 2012 season) and all his ball-hitting, ball-catching, and ball-throwing friends, on a day-to-day basis. Its Grapefruit and Cactus time (spring training) right now, but MLB Opening Day is Sunday, March 31st, with a matchup between the Texas Rangers and the Houston Astros. Are you a baseball fan? Name your favorite team. Batter up!